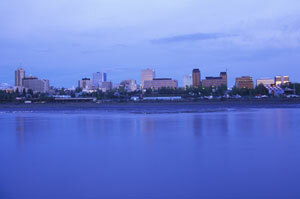 Anchorage is home to over 100,000 residents and is known as the “City of Lights and Flowers”. There are many effective advertising opportunities available throughout the city. For example, the many resorts and tourist destinations in Anchorage provide the perfect opportunity for out-of-home advertising. The Alyeska Resort and Hilltop Ski Area are examples. Anchorage is the premier tourist destination in Alaska creating an environment with competitive billboard rates and many possibilities for outdoor or digital advertising. The roadways serving Anchorage can also be utilized for billboard advertising to target your audience. Billboards on Alaska Route 1, Glenn Highway, or Seward Highway would allow you to generate high traffic for your business. Zip Codes: 99501, 99502, 99503, 99504, 99507, 99508, 99509, 99510, 99511, 99512, 99513, 99514, 99515, 99516, 99517, 99518, 99519, 99520, 99521, 99522, 99523, 99524, 99599, 99695.